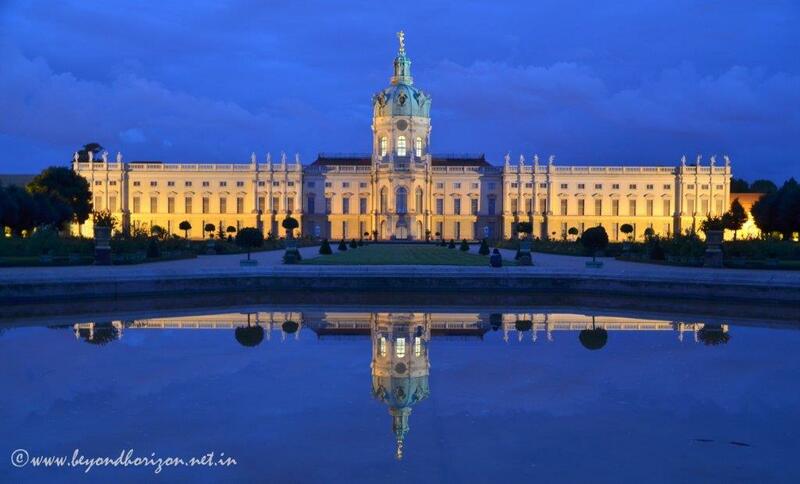 Charlottenburg Palace, the largest in Berlin, sparkling in twilight. Built in Baroque and Rococo style at the end of 17th Century, this is the only surviving Royal Palace of that time. This view is from the Palace Garden, which fortunately stays open till late in the evening. We had that place almost to ourselves! 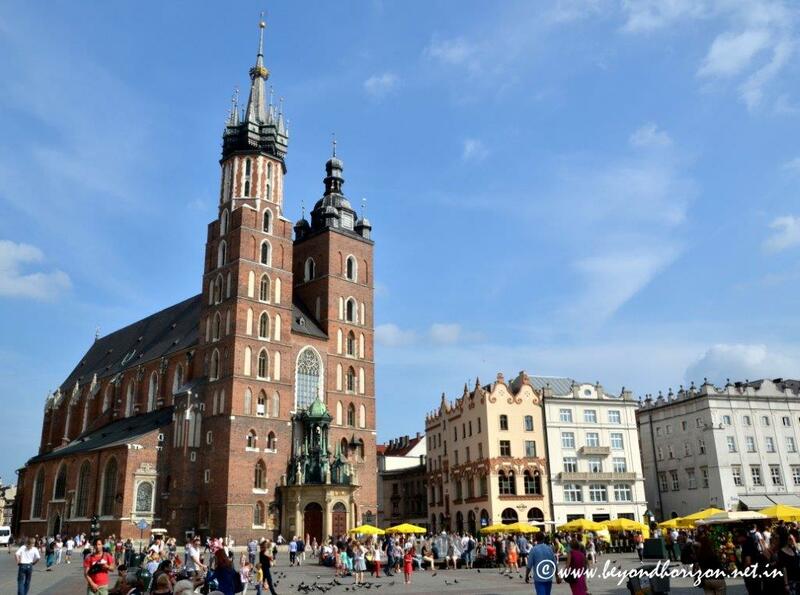 Like many other European towns, the Main Market Square is the center of all tourist activities in Krakow, a town from the medieval period in southwest Poland and it’s old capital. All the palaces and houses around this town center, set up in 1257, are several hundred years old and faithfully represents the architectural style of their times, the St Mary’s Basilica being most spectacular of them all. First built in early 13th Century, destroyed by the Mongols and then rebuilt in 14th Century to this Brick Gothic style, this church is a wonderful work of art from outside, as well as inside. 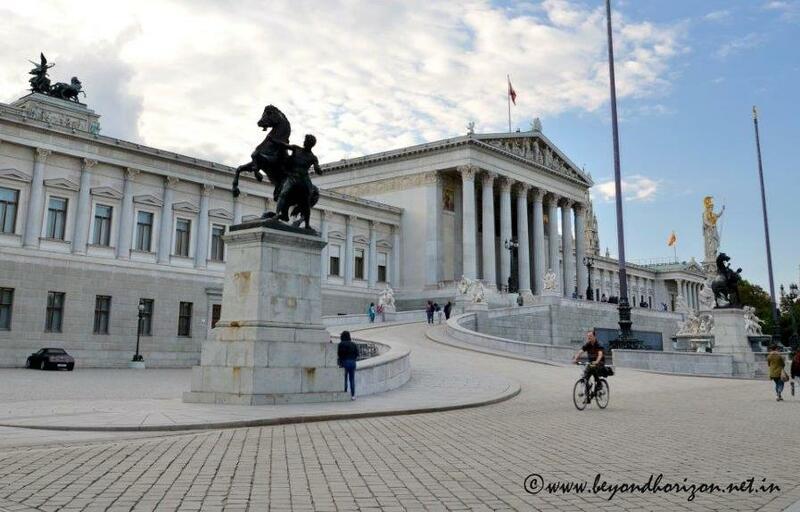 Built in 1884, Austrian Parliament building was originally meant to be the seat of Imperial Parliament of Austro-Hungarian monarchy. Designed by Theophil Hansen, it’s Greek Revival style, with great columns and a four meter high curving ramp, pays tribute to Ancient Greece as the cradle of democracy. The beautiful fountain in front of the building represents the 4 most important rivers of the Austro-Hungarian Empire. 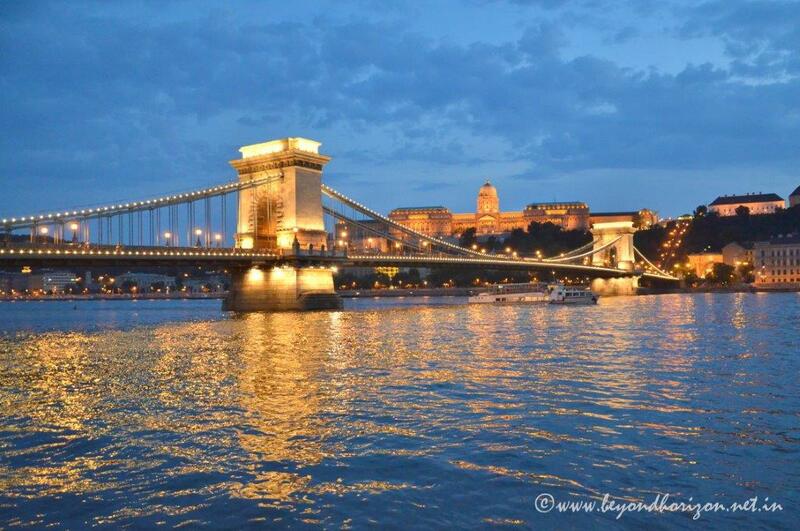 Spending the twilight hour sitting by the Danube in Budapest, watching the magnificent Chain Bridge and Buda Castle shinning across the water as boats lazily cruise past, is mesmerising. This majestic suspension bridge- it’s structure and cast iron decorations radiating a calm dignity, was built in 1849. It was the first permanent bridge across Danube in Hungary. The climax scene of Hindi Film ‘Hum Dil De Chuke Sanam’ was shot on this and in 2001, a Hungarian stunt pilot flew upside down under the bridge! Buda Castle (in the background) dates back to 13th Century and was re-built several times over the centuries. The splendid Baroque Palace that you see today, was built in the time of Queen Maria Theresa and later on, Emperor Franz Joseph I of Habsburg Empire of Austria during 18th and 19th Century. Time stands still in Cesky Krumlov, a small but pretty town by the meandering Vlatva river, in the south Bohemian Region of Czech Republic. Built in 13th Century, it was never destroyed and as a result maintains the look and feel of a mediaeval town- narrow cobblestone streets, lined with Gothic, Renaissance and Baroque style buildings takes you back to a different world. Cesky Krumlov Castle with its imposing tower, on the left of the picture, unusually large for the size of the town, is second largest within Czech Republic. It is said that the Castle was built to keep away the robbers, who used to attack the caravans passing over the small wooden bridge in the background. Original Gothic castle was extended in 14th century and was rebuilt in the Renaissance style in 16th century. In 17th and 18th centuries the castle was modified in the Baroque and the Rococo style. The tower on the right is part of the Church of St. Jost, built in Gothic style in 1334. 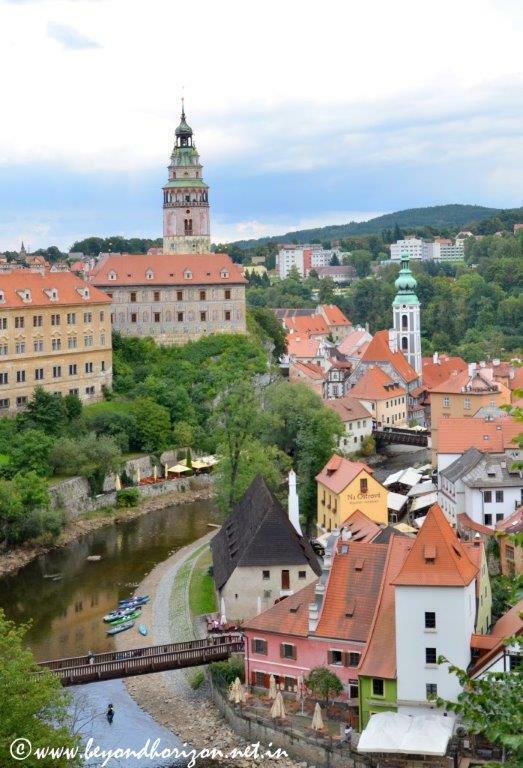 During the middle ages, Cesky Krumlov used to be part of an important trading route in Bohemia. That glory is still visible. The French phrase ‘sans souci’ means ‘without concern’ or ‘carefree’. Frederick the Great, King of Prussia wanted a private retreat to relax and spend time away from his ceremonial lifestyle in Berlin. Built in Rococo style in 1747, Sanssouci Palace has just 10 rooms in the main block, all on the ground level, to maintain a close connection with nature. 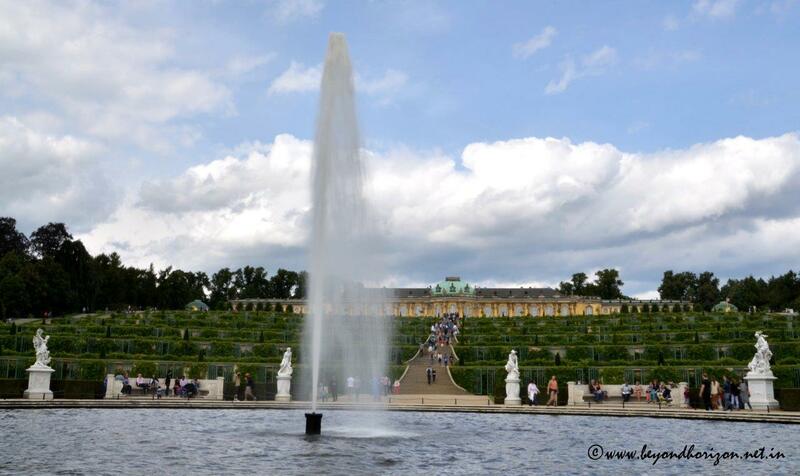 Sanssouci Palace may not be majestic, in comparison, but really pretty, thanks to its wonderful setting on top of terraced vineyards spreading over an entire hillside and an imposing 38 m fountain at the base. As you climb up the hill to the palace, the view of the vineyard and the surrounding park is simply stunning.